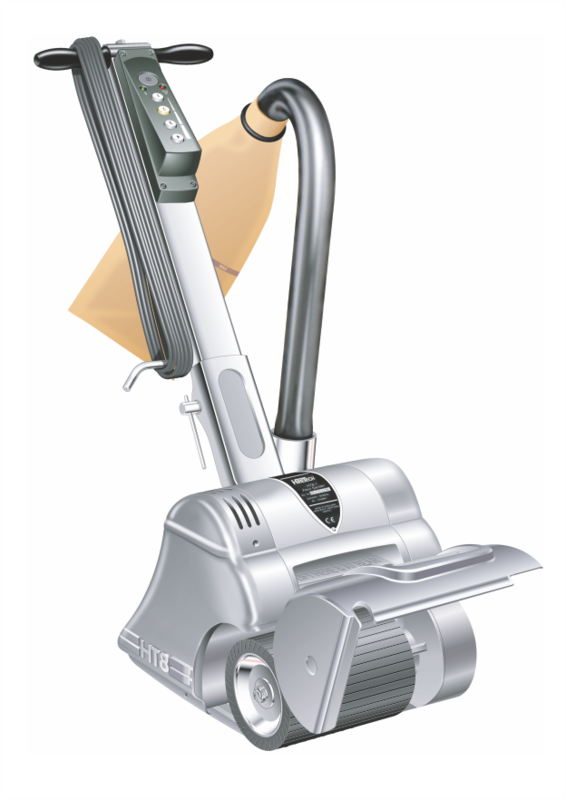 The HT8 EX is a 200mm (8") high performance drum floor sander with expandable (EX) sanding drum technology. 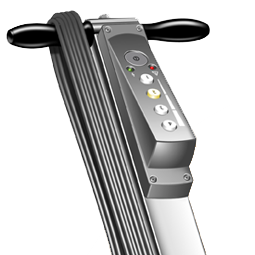 Available with single and multi-speed control. The world's most powerful compact floor sander, with up to 3,300 Watt's (4.5hp) of power at the sanding drum, generates the torque and drum speed to drive even 24 grit (P24) abrasive on the roughest of floors. Drum speed is maintained at all times providing the centrifugal force to hold the abrasives belt firmly on the drum at all times, minimising side slip of the abrasive belt and damage to the drum rubber. The continuous abrasive belt provides ultra smooth sanding performance on all types of wooden floors including parquet and engineered floors, while the Multi Speed gives the user total control. The expandable drum technology is the choice of the professional user and ideal solution for the in store DIY rental operator. 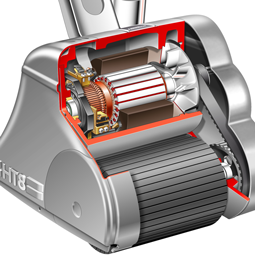 Completely self contained with a high efficiency dust pick-up, the HT8 EX breaks down into three simple component parts for easy transport. The high impact ABS injection moulded side guards and drum guard will not scar or scuff walls and protect the HT8 EX during transport. The HT8 will sand all types of wooden floors including parquet to a fine score free finish. The HT8 can also be used on a wide range of other surfaces including fibre board, cork, engineered and composition floors.